That Little Agency | Our Thoughts | Are you ready for Google for Jobs? Depending on when you’re reading this, Google for Jobs has either already launched, or is due to launch very soon. Which means that you’re either enjoying the free-of-charge surge in job seeking traffic that suddenly started arriving at your careers website, you’re wondering why you’re missing out, or you want to know what on earth Google for Jobs actually is and how you can prepare for it. We believe that Google for Jobs is a huge opportunity for employers. It’s levelling the playing field for all recruiters by making sure that everyone is playing by the same set of rules and being held to the same standards. And if you’re prepared, then being an early adopter could give you a significant advantage over your competitors for talent. And, to get started, we’ve answered some of the questions that you might have on this big topic. Google for Jobs launched in the US in June 2017. According to Google it “uses machine learning to understand how job titles and skills relate to one another and what job content, location, and seniority are the closest match to the jobseeker’s preferences.” Put simply, it’s an algorithm that better organises job listings on the Internet so job seekers can find them. I know what you’re thinking, “Can’t we look for jobs on Google already? What’s the fuss about?” But do that now and you’ll be presented with a list of job boards carrying those roles – and you’ll then have to visit each one to find out more. Do the same when Google for Jobs arrives in the UK and it will take you to the exact roles matching your search. Why is it a good thing for employers? Google are offering employers the opportunity to have their jobs indexed by their search engine. And if they are indexed correctly, then job seekers are going to see them. With so many jobs being indexed from job boards and direct employers, Google for Jobs could quickly be the go-to place for job seekers. What’s more, candidates will be able to apply directly through your careers website (or ATS) via Google for Jobs. 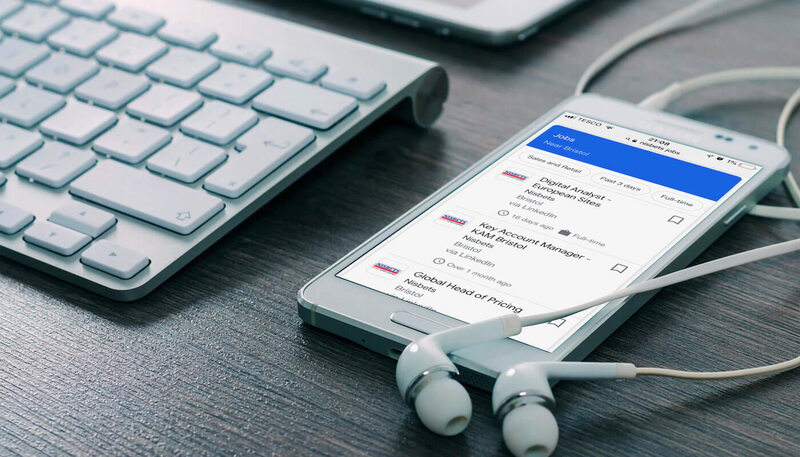 It’s a new and user-friendly way for candidates to find your roles – and to drive traffic to your careers website direct from Google. Why is it a good thing for jobseekers? When a process is made easier, saves time and gives better results, what’s not to like? Instead of visiting different job sites to make sure they haven’t missed a role, Google for Jobs will deliver positions closely matching a jobseeker’s preference – which could include location, type of job (full-time, part-time), ideal salary range, company type and even the specific employer by name. And it will eliminate any duplicate listings. Google’s means of filtering will help jobseekers construct a highly-personalised search – which could quickly identify roles that might not show up in a traditional search. Well you may have already seen what it looks like, as Google for Jobs is already live in the US. If you were searching for ‘marketing jobs’, sandwiched neatly between the sponsored and organic links you’ll find a new box called ‘Jobs’. In it you’ll find the jobs that Google believes are most relevant to you based on your search and location. They will be a mixture of job adverts from the job boards and employer’s careers websites. But from what we understand, direct jobs featuring on careers websites will be given priority over those listed on the job boards. It’s your call but, as an employer, you’d want your vacancies to show up where job seekers are looking, wouldn’t you? When people want to search for something online, 90% of the time they turn to Google. So, when Google start making job searches as rewarding as they’ll be with Google for Jobs, we’d be amazed if it doesn’t quickly become the place to search. Imagine, your competitors roles are showing up, but yours aren’t. Ignore it if you want to. But why would you want to? How can I be ready for it? Google for Jobs will look for the same things in a career site that it does in any good website. If your career site is mobile friendly, has fresh content, the right keywords (and clear job titles) with well-indexed job postings on the same domain as your website (very important), then you are some way towards being ready. And if you have video on your careers website Google will like it even more. If however, your roles are advertised from your ATS – which usually has a domain different from the main website, then you have some work to do. Google for Jobs will not find roles hidden from their search bots by the ATS. We hope that we’ve given you a little more insight about the opportunity offered by Google for Jobs – and you are as excited as we are. There’s always an advantage in being an early adopter so, our advice is to start finding out more and if you have an ATS, ask your provider what they can do to help you prepare. We hope that you have found this little snapshot useful. But if you’re hungry for more detail, then please request a copy of ‘Our little guide to Google for Jobs’ ebook. There is much more information available on what you need to do to get the most out of Google for Jobs.